This is the third repeat order for Jamna Auto. The first & second installations were at their Jamshedpur and Yamunanagar plants respectively. A completely Automatic Paint Sludge Removal System will be installed in their new paint shop at Malanpur plant. It will be connected to a very compact sludge pit, specially designed for DD Paint Booth. The system comprises of a HYDROFLOTY model 6M, floating suction system with submersible pump, automatic dosing system, a PLC based control panel as well as the required Chemicals. The paint sludge from the paint booth is continuously treated by the on-line chemical dosing system. The treated paint sludge is efficiently separated by the HYDROFLOTY System and clean water returns back to the pit. The customer has saved a considerable space by opting for a compact pit with the HYDROFLOTY system. Moreover, there will be considerable savings in water costs as well as savings in the cleaning and maintenance costs, due to the high efficiency sludge removal. The new paint shop is being supplied by Surfin Coating Systems, Pune. Spicer India Priavte Limited designs and manufactures axles, driveshafts and drivetrain products for the OEMs of utility vehicles and commercial vehicles. It is a joint venture of ANAND Group with Dana Incorporated. The Spicer plant at Satara was facing a problem of consuming too much space by drying beds of their ETP. Moreover, the sludge required a considerable time for drying inside these drying beds. As the production increased, sludge drying became a bottle neck in the process. After studying the various streams coming to the ETP, AQUARIUS suggested a Semi-Automatic Sludge Separator System. This system will be connected to Spicer's existing settling tank. The sludge will be dewatered in the Separator and the cleaned water will be reused. Additionally, AQUARIUS will also be supplying suitable Chemicals for the proper treatment of the sludge slurry prior to dewatering. Spicer will be utilizing the space, freed by their present sludge drying beds, for storage purpose and for other utilities. We hope the above information was interesting for you. Please do let us know if we can be of assistance to you in any of your requirements including Paint & Phosphate Sludge Removal, Oil & Coolant Cleaning, Solid-Liquid Separations, Chemicals, Solvent Recovery Systems, etc. Axles India is a leading manufacturer of axle housings in South India. They are putting up a new manufacturing plant in Mysore with the latest technology. AQUARIUS is providing them with the state-of-art Automatic HYDROFLOTY System for the continuous separation and removal of paint sludge. This system will require a drastically reduced sludge pit size! Moreover, very clean water is returned back to the paint booths, thus keeping the booths clean. 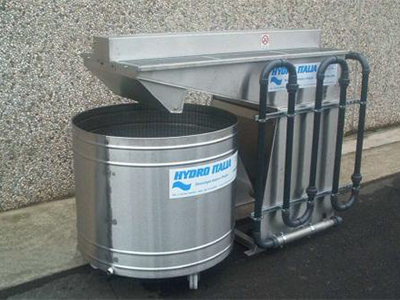 The HYDROFLOTY system ensures savings in Space, Water, Maintenance as well as Disposal costs. 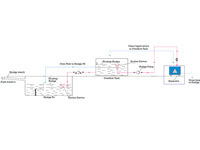 The HYDROFLOTY System is designed to automatically clean the small pit connected to 2 nos. DD paint booths. Fast-Acting Hydro Chemicals will be dosed usingAutomatic Dosing Systems. The equipment will give feedback to customer’s SCADA system. The new paint shop is being provided by Electrocoat Equipments, Pune. Tata Hitachi is the leader in construction equipment in India. They manufacture excavators, wheeled products, cranes, etc. The Paint Sludge Separator System is a part of the new paint shop. 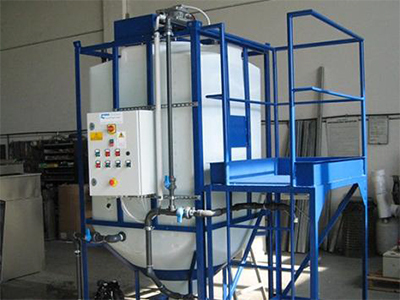 The system comprises of a Centrifuge Paint Sludge Separator connected directly to 2 nos. Side Draft paint booths, thus avoiding the need of sludge pit completely. 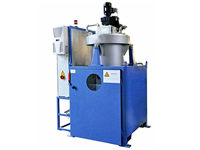 The Separator will continuously remove and dewater the paint sludge from the paint booths. The paint shop has advanced features to ensure efficient painting and cleanliness during painting operations. The new paint shop is being provided by Soham Surface Coatings, Pune. Epiroc is a Swedish company active in the mining, infrastructure and natural resources industries. Epiroc produces innovative drill rigs, rock excavation and construction equipment. 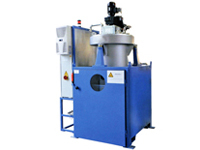 For their exiting paint shop, Aquarius is providing a Centrifuge Paint Sludge Separator. The Separator will continuously clean 2 nos. Side Draft paint booths. A manual change over arrangement is provided to the Separator along with an advanced Automatic Chemical Dosing System & Chemicals. We hope the above information was interesting for you. Please do let us know if we can be of assistance to you in any of your requirements including Paint & Phosphate Sludge Removal, Oil & Coolant Cleaning, Solid-Liquid Separations, Chemicals, etc. 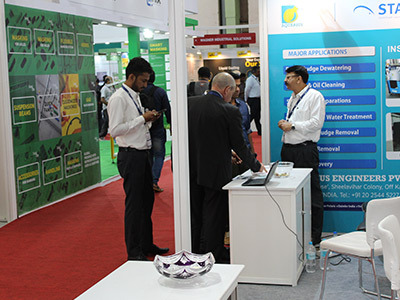 The stall was jointly put up with HYDRO ITALIA , to announce Aquarius tie-up with HYDRO ITALIA for their wide range of Chemicals & Systems for the Indian market. The exhibition had a good response and Mr Gianfranco Verona from HYDRO ITALIA was also invited as one of the speakers for the 2-day conference held during the exhibition. 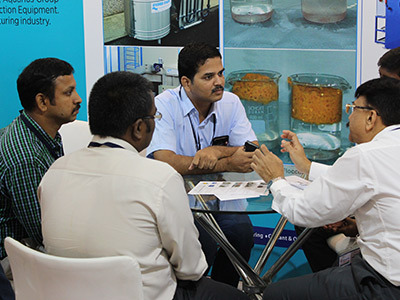 There was a good interaction with the clients visiting the Aquarius stall, on their requirements like Paint Booth Chemicals, Paint Sludge Removal Systems, Oil & Coolant Cleaning Separators, Water & Waste Water Treatment Plants, Solvent Recovery Systems and so on. The Separator is used for a special application viz. separation of Aluminium Oxide powder from water. The Al Oxide powder is used in grinding processes as an abrasive, due to its hardness & strength. The Al oxide slurry, after the process, was being discarded to the ETP. This increased the load on the ETP and also amounted to a lot of water wastage. 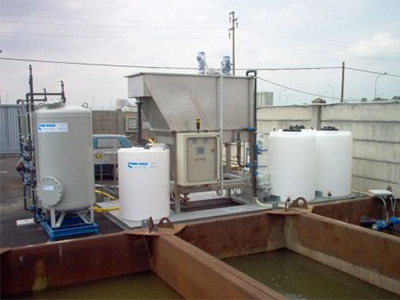 The Separator System is provided with a centralized collection tank. Al oxide slurry, from the process, is collected in this tank. The Separator gets activated when the centralized tank gets filled-up. The slurry is efficiently cleaned by the Separator. The Separator shuts-off when the slurry in the tank reaches the low level. The Al oxide powder slurry is cleaned efficiently, the dewatered powder is collected and the clean water recycled for process use. 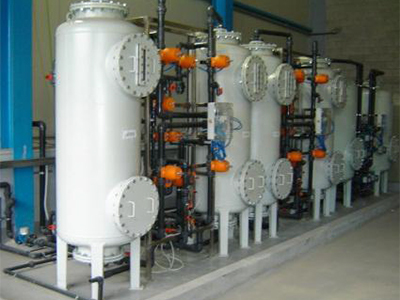 Thus effectively reducing the load on ETP and ensuring savings in water and powder recovery. Faiveley is a part of the US based Wabtec Corporation, which is a leading supplier of technology-based products for freight rail, passenger transit and select industrial markets worldwide. Faiveley has an existing paint shop with a sludge pit for paint sludge collection. The sludge pit is located outside the shop floor, at some distance away from the paint shop. It was very cumbersome to remove the paint sludge manually from the deep sludge pit. Aquarius provided a special arrangement to pump the sludge to the ground level and subsequently to dewater it with the Separator system. The suggested system will help Faiveley to clean the sludge pit with ease and also to reduce their costs on cleaning, disposal and maintenance work substantially. Conventionally, a multi-booth paint shop would normally have a centralized sludge pit for sludge collection. Among other problems, the sludge pit added to the maintenance woes, amounted to substantial civil cost, created pollution hazard and occupied lot of space. The trend today is to have paint shops without any sludge pits. At Jamna Auto, the Paint Sludge Separator Systems are a part of the new paint shops coming up at Jamshedpur and Yamunanagar. The compact system is connected directly to 2 nos. paint booths. 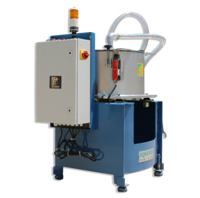 The Separator cleans the paint booths individually and the sludge is dewatered effectively. Greaves Cotton Ltd., Pune : GCL has an existing paint shop for their Diesel Engine Unit. Presently, the removal of paint sludge from the paint booths is done manually and quite tedious. Also, they have a requirement of cleaning used oil at times. Aquarius is providing a“Trolley mounted Separator System” that can be used for removal of paint sludge as well as for cleaning of oil. The Separator can be easily moved to various locations in the shop floor. Kirloskar Oil Engines Ltd., Kagal : The state-of-art factory at Kagal has a paint shop with a sludge pit set-up. The sludge pit is located outside the shop floor. The suggested system will help KOEL to reduce their cleaning, disposal and maintenance costs substantially. 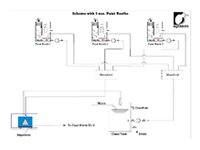 The Paint Sludge Separator System will be connected to the sludge pit using an intermittent OF tank system. 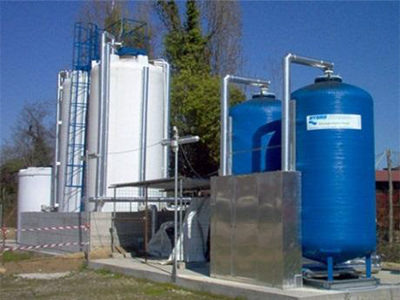 HYDRO ITALIA produces Plants as well as Chemicals for water and wastewater treatment, including paint sludge removal, demineralization, effluent treatment, biological treatment, etc. HYDRO ITALIA, which has got a long experience in the field of surface treatment, is particularly appreciated for its innovations in the field of waste water coming from paint booths. 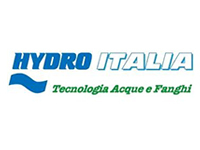 You are welcome to visit HYDRO ITALIA website for a better understanding of their activities: http://www.hydroitalia.com. With our added product range, we are more than keen to assist you in any of your sludge removal & chemical treatment requirements. Do let us know. The Separator System is designed to clean 3 nos. paint booths automatically. Cleaning time for each booth can be set, based on production load. The system cleans the booths automatically, one after the other, and stops for manual sludge emptying. 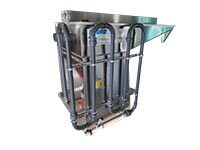 The separator system also helps to avoid conventional sludge pit and its related maintenance problems. 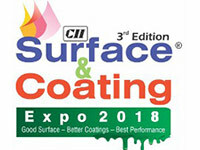 AQUARIUS and HYDRO ITALIA are jointly participating in the Surface & Coating Expo 2018 to be held at Chennai Trade Centre from 31st August to 2nd September 2018. 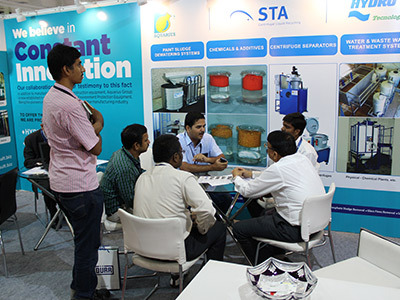 All types of sludge removal and water treatment enquiries will be discussed at our stall including Paint Sludge Dewatering, Phosphate Sludge Removal, Chemicals, Wastewater Treatment, ETP, etc. The state-of-art factory at Kagal has a paint shop with a sludge pit set-up. The sludge pit is located outside the shop floor. The suggested system will help KOEL to reduce their cleaning, disposal and maintenance costs substantially. 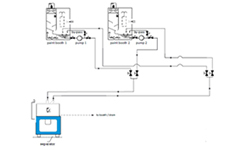 The Paint Sludge Separator System will be connected to the sludge pit using an intermittent OF tank system. 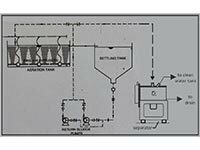 Varroc Polymers has placed an order for a completely Automatic Paint Sludge Separator System for their new plant in Chakan. The new paint shop, being put up by M/s Plustech Systems, has a centralized sludge pit. 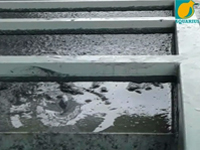 A special floating suction device is provided in the sludge pit for effective collection of the floating paint sludge. The sludge is pumped to an overhead overflow tank. The sludge concentration is increased in the overflow tank. Subsequently, the paint sludge from the overflow tank is pumped to the Automatic Separator. The sludge is separated from the water at a very high efficiency and also dewatered effectively in the Separator. The dried sludge is automatically removed into a collection trolley. The clean water is returned to the sludge pit. The separator has advanced HMI system and the PLC controls are with required system safeties in-built. 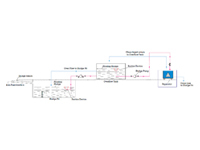 The control panel is connected to the SCADA system of the customer. 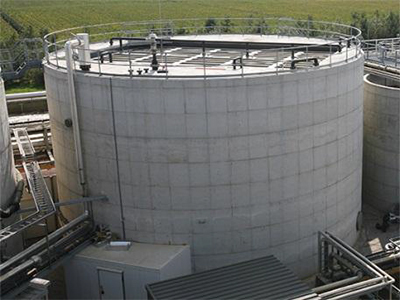 A new Overflow (OF) Tank has been designed for the efficient collection and concentration of the paint sludge from the sludge pit, which can be easily pumped to a centrifuge separator. 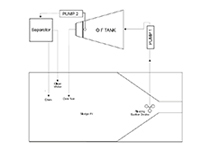 The OF tank is designed for those sludge pits, which do not have a skimmer tank or de-sludger system attached to it. Unlike skimmers, the OF tank does not have a skimmer arm and the sludge is allowed to float inside the tank. 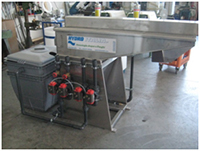 The trapezoid shaped tank is so designed to collect the floating paint sludge at one end, with the help of a specially designed suction device. The sludge is pumped to the centrifuge separator through this suction device. The paint sludge sent to the centrifuge separator gets effectively dewatered and the clean water is sent back to the sludge pit. Volkswagen India, (Pune) plant has received the prestigious ‘THINK BLUE. FACTORY’ award for the greatest progress in waste reduction. One of the main measures contributing to this reduction was the recycling of paint sludge. This reduction was achieved by cutting down the moisture content from paint sludge using centrifuge Paint Sludge Separator. 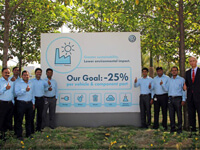 As compared to the base value of 2011, VW India Pune plant has been able to reduce specific ‘Waste Generation’ by 30.5%. Volkswagen Pune Plant, one of the 27 Volkswagen automotive manufacturing facilities worldwide, follows the ‘Think Blue. Factory.’ initiative to achieve environment-friendly manufacturing. Through this initiative, Volkswagen aims at reducing the impact of its manufacturing process on the environment by 25% per car globally through its participating facilities. Three years into the program, the Pune plant has already surpassed the set target in the area of ‘Waste Generation’ and is close to achieving its targets in the areas of ‘CO2 Emissions’ and ‘Energy Consumption’. Rounding off the fruitful results of Volkswagen India was the consistent progress shown in the area of ‘Water Consumption’. Amongst the five key measurable areas, maximum reduction has been achieved in the area of ‘Waste Generation’. The exhibition had a good response but the highlight of the event proved to be the visit of Hon. Shri. Manohar Parrikar, Defence Minister of India, to the Aquarius stall. 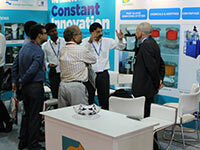 Apart from the construction equipment, Mr. Parrikar showed a great intrest in the Centrifuge Separator product range. 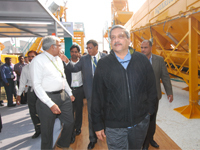 “The Aquarius equipment exhibited is very techno-savvy,” commented Mr. Parrikar. There was a good interaction with the visiting clients on their requirements like Hydraulic Oil cleaning, Paint Sludge Dewatering, etc. 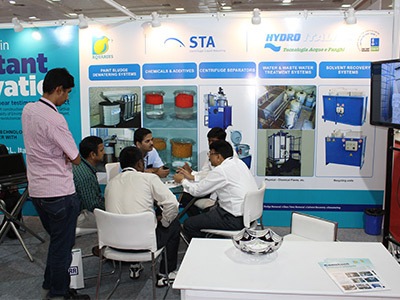 STA had participated in glasstec held at Düsseldorf Fairgrounds, Germany. 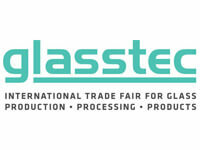 glasstec is the meeting point for the world of glass, not only the world‘s largest trade fair for the glass industry and its suppliers but also the most international event. 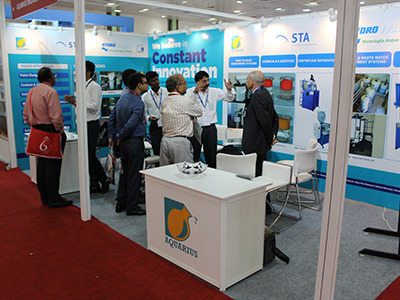 STA is a leader in providing clean water solutions without chemicals in the Glass grinding industry. 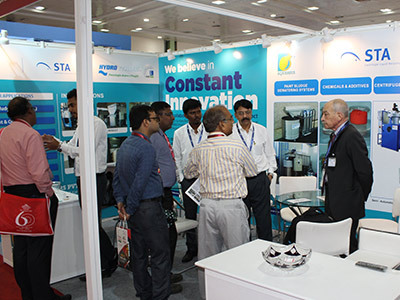 The event was well attended and was also visited by many Indian business houses.